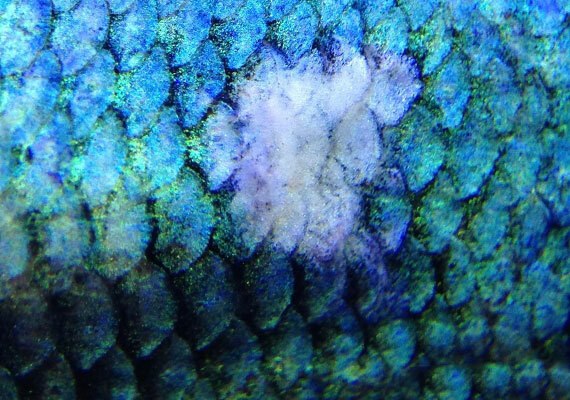 Does your fish have discolored white patches on his scales? It might just be columnaris. Today, I am going to teach you everything you need to know about columnaris – including how to identify and treat it. This guide might just save the life of your fish. How does columnaris get inside your aquarium? 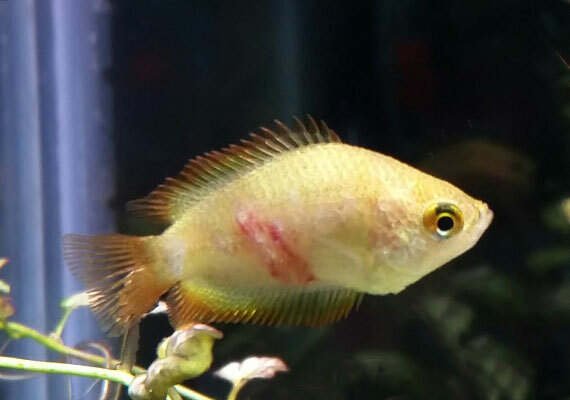 How do you treat columnaris? How do you prevent columnaris? There is a lot of misinformation about this disease, even on sites like Wikipedia. So, let’s straighten some of this out. Bacteria causes columnaris – Flavobacterium columnare to be exact. Don’t worry, no need to remember this name! 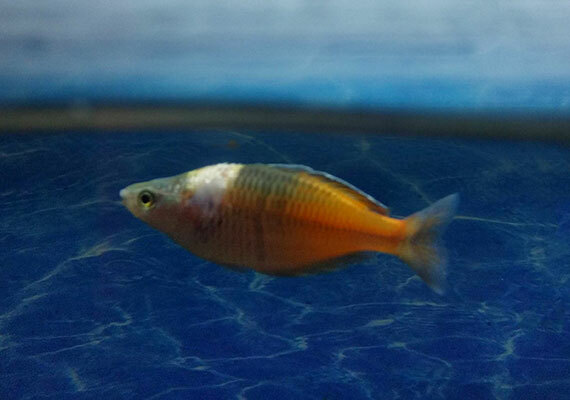 Everyone in fishkeeping either refers to it as columnaris or, less commonly, Saddleback disease. 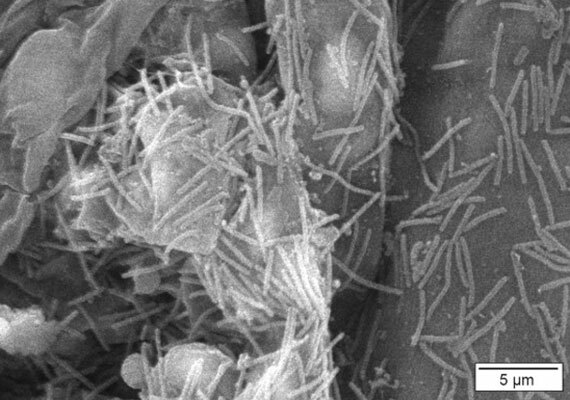 As you see, when viewed under a microscope, the bacteria resemble rods or columns– yep, that’s how this bacteria got its name. Columnaris only affects freshwater fish, both in the wild and in aquariums. It cannot live in salt water. Any species of freshwater fish can come down with a columnaris infection. Columnaris is very dangerous and will kill your fish if left untreated. In fact, a columnaris infection can kill your fish rapidly – sometimes it only takes a day or two from the first sign. If your fish’s symptoms match that of columnaris, then you need to start treatment right away. Columnaris is also very contagious between fish. If one comes down with it, then all the other fish in your tank are also at risk. Fortunately, humans are not affected by columnaris. You and your family will not get sick from an infected fish. It’s already inside your aquarium! Yep, it’s just hanging around, waiting to strike. In fact, columnaris exists in every freshwater aquatic system – everything from small betta tanks to large-scale commercial operations have columnaris in the water. In fact, columnaris is a huge concern for commercial fisheries since it is highly contagious and can wipe out large numbers of fish very quickly. However, as explained later in this guide, even though columnaris is present in every aquarium, it is only a threat to your fish in very specific, and preventable, circumstances. Columnaris is quite difficult to identify and is often confused with fungal diseases such as cotton wool disease or cotton mouth disease. Straight up, if you see little tufts of cottony stuff that resemble white-colored bread mold, it isn’t columnaris. What makes columnaris so darn hard to identify is that its appearance varies dramatically according to how far along the disease is. To add to the confusion, different strains look and act differently from each other. Columnaris strains generally fall into one of two categories, fast or slow. The fast columnaris can kill your fish within 24 hours. In most cases, your fish will be dead long before you even notice any symptoms. If your fish is still alive and shows the following symptoms, then you are dealing with a slow strain of columnaris – it’s still deadly, but you should be able to treat it if you catch it quickly. Generally, columnaris starts out looking like bleached or off-color patches on the body of your fish. As the infection grows, the surrounding scales also begin to look washed out. The exact color of the infection varies based on the color of your fish and how far along the disease is. While it’s most commonly identified when white, it can also look yellow or even orange. It’s important to note that these discolored patches will be flat – not bumpy or fluffy. As the infection continues, it can completely eat away at the scales and skin of your fish. At this point, the skin splits, and the scales turn white and flake off. The disease can also form long filaments that are visible to the naked eye. It’s this stage where the columnaris disease is usually misidentified as a fungus. As the bacteria continues to eat through the skin of your fish, it reveals the muscles underneath, looking bright red and bloody. If left untreated, columnaris will eat a hole in your fish. Less commonly, the infection shows up as a distinctive round patch behind the dorsal fin of your fish. 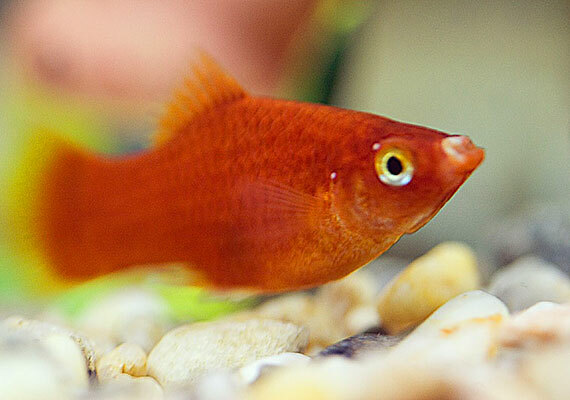 It kind of looks like your fish is wearing a small horse saddle – this is why you sometimes hear columnaris referred to as Saddleback disease. Columnaris can also start as a mouth infection. 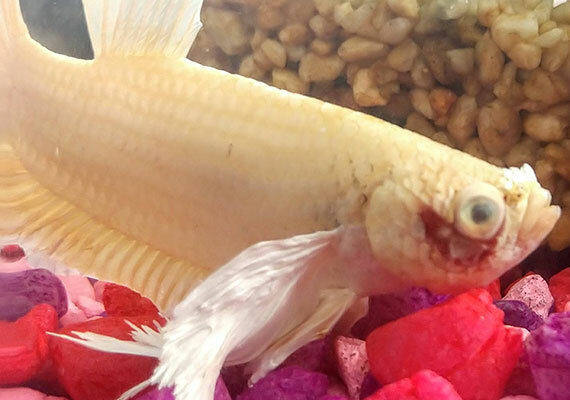 When this happens, your fish’s mouth looks bleached, like it’s wearing lipstick. As the mouth infection continues, the columnaris eats away at the skin inside and outside the mouth, causing it to flake and become puffy. This is often misidentified as a mouth fungus when it’s actually columnaris. Columnaris can also take a foothold in the gills, making them look bloody as it eats away on the inside. 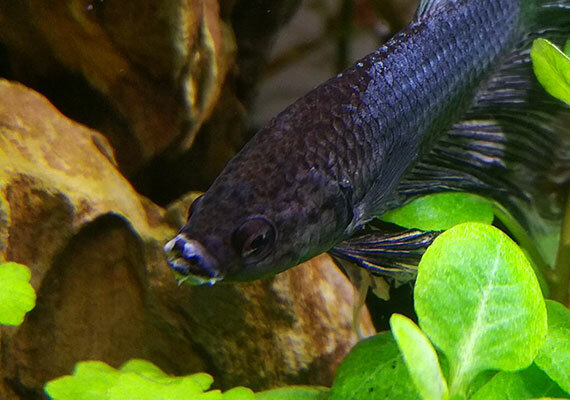 As columnaris eats away at your fish’s gills, breathing becomes more difficult. As a result, your fish’s gills will move much faster than normal as he tries harder to breathe. You may even notice your fish move to the top of your tank where there is more oxygen or even gasp for air at the surface of the tank. Fish suffering from columnaris are often less active and may not eat well or refuse to eat altogether. It’s worth mentioning that lack of energy and refusing to eat are common symptoms of many aquarium diseases and, on their own, do not mean that your fish has columnaris. Scratching is the final clue that your fish has a columnaris infection – columnaris can be itchy. Since your fish doesn’t have hands, he will swim close to objects and brush against them in an effort to make the itching stop. This can result in scrapes and worn down skin, exposing muscle and flesh. As the columnaris progresses, you may notice that your fish’s fins look bleached out, ragged or even completely worn away. This is commonly referred to as fin rot. Your fish can catch more than one disease at a time. In fact, by coming down with columnaris, your fish is actually more likely to be afflicted with another disease. Because your fish is already weak from both stress and columnaris, your fish is more likely to catch other diseases than he normally would. A second disease caught after the first is referred to as a secondary infection. This is why identifying any fish disease can be difficult – your fish may actually be battling two diseases at the same time while you are trying to determine a single disease. While any aquarium fish can come down with columnaris, certain fish are more prone to it. This is a particular problem with fish bred in huge numbers, such as betta, with weak genetics. Livebearers like guppies, Endlers and platies are prone to columnaris as well. Have you diagnosed your fish with columnaris? Important: Your fish might already be too weak or too far gone to be saved. While I cannot guarantee the survival of your fish, using these steps gives your finned friend the best shot of overcoming columnaris. Incorrectly treating columnaris can harm or even kill your fish. That’s the opposite of what we are going for, right? So, carefully read each step before taking action! Ideally, you want to place any fish showing symptoms of columnaris into a separate hospital tank. The most obvious advantage of a hospital tank is that it prevents the columnaris infection from spreading to other fish. Second, it stops your sick fish from being bullied by healthy tank mates. For their own safety, healthy fish often instinctively drive off a sick fish. In an aquarium, however, the sick fish has nowhere to go, and this bullying will only stress the fish out further. Next, medicine is dosed according to the amount of water in your tank. If your hospital tank is smaller than your main aquarium, then you won’t need as much medication. Medicine can be expensive and treating a 10-gallon hospital tank versus a 30-gallon one can result in big savings. Finally, medication can stress healthy fish. Some can even kill the beneficial bacteria inside your filter. As a result, only use treatments when dealing with a harsh disease like columnaris. By only treating your sick fish, your remaining fish won’t be exposed to heavy medications. As with any disease, to see the best results when fighting columnaris, you want the water in your tank to be pristine. 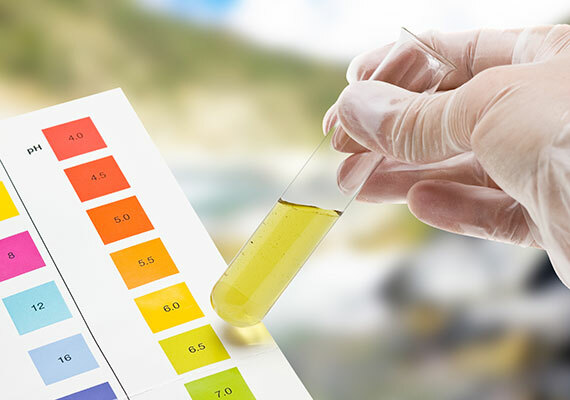 Not only will good water quality allow your fish to recover faster, but it can also impact how certain columnaris medications affect your fish. If anything looks out of the ordinary, fix it before moving forward with the columnaris treatment. Columnaris loves the heat. The warmer the water, the faster columnaris spreads. Ideally, you don’t want the temperature to exceed 75°F (23.9°C). If your temperature exceeds 75˚F, then you want to decrease it to slow down the spread of columnaris – doing so gives your fish the greatest chance of survival. Now, the trick to lowering the water temperature is to do it slooooooooowly. You see, fish are sensitive to rapid changes in temperature. If you lower it too quickly, you risk killing your fish. For more info, check out our guide to aquarium temperature. So, instead of adjusting the water to the lowest temperature your fish will tolerate, decrease it by 2˚F (1˚C) every hour until you reach the desired temperature. When doing this, regularly test the temperature with a good aquarium thermometer to make sure it is still in your fish’s comfort zone. It’s important that you only adjust it to a temperature that is as low as they will tolerate. Research to find the preferred temperature for your fish. Those with community tanks, meaning with multiple types of fish, need to find the sweet spot where they are all comfortable. FishLab Note: Before adding columnaris medicine to your tank, remove any chemical filter media such as activated carbon or Purigen. These can soak up certain types of medication, preventing it from treating your fish. Many expert fish keepers recommend a combination of nitrofurazone and kanamycin as the best treatment for an outbreak of columnaris. And, I agree. I have used this treatment on more than one occasion to successfully cure my fish of columnaris. In my opinion, this treatment gives your fish the best chance of survival. Using one or the other does not seem to have the same success rate – so use them together. Have these two medications? Now, it’s time to dose your fish. Here is how I dose the two for maximum effectiveness. Add a single dose of medication according to the following schedule, I add an extra course of Furan-2 on day 5. It is worth mentioning that in severe cases, you may need to do back-to-back treatments on your fish, for a total of 10 days. This is a judgment call that only you can make, based on how well your fish has recovered. This powerful 1-2 punch of medication should be all you need to beat columnaris for good. Most people believe that columnaris bacteria exist in every aquarium. So if that’s the case, then why doesn’t every fish become infected? Well, columnaris often strikes when a fish is stressed and in a weakened state – when your fish’s immune system cannot fight off the disease. So if you eliminate stress, you make your aquarium columnaris-proof, right? Not too hard, right? These simple tasks keep your fish happy, healthy and safe from most aquarium diseases. Reduce the general hardness (GH) of your aquarium. To put it simply, the theory is that bacteria cannot attach themselves to fish effectively in less hard water. For more information, check out our GH guide. It covers everything you need to know about the importance of GH and how to balance it. As you see, columnaris is one of the nastier aquarium diseases. But if you catch it early and with proper treatment (and a bit of luck), your fish will beat columnaris for good. A sad fact of columnaris is that even if you do everything correctly, your fish still might not make it – perhaps you caught it too late, or it’s a fast strain. If your fish doesn’t make it, don’t beat yourself up. Go through our preventative steps so that you don’t face the same problem in the future. I would also add that if it’s too late for treatment, you may have no other solution than to euthanize your fish. I know it can be hard, but it may be the only way to stop your fish from suffering. How do you treat a columnaris infestation? Let me know in the comments below! great job, really useful, practical and solid source of informations about this desease, thank you. Here is slightly different and more detailed opinions how this bacteria got its name – its not the shape of solitary bacteria cell, but rather column-like formations of many of them. I’ve been fighting this disease in my tank for about a month. I have a 29 gallon tank, and I used to do a 5 gallon water change every 7-10 days, and never had any problems. 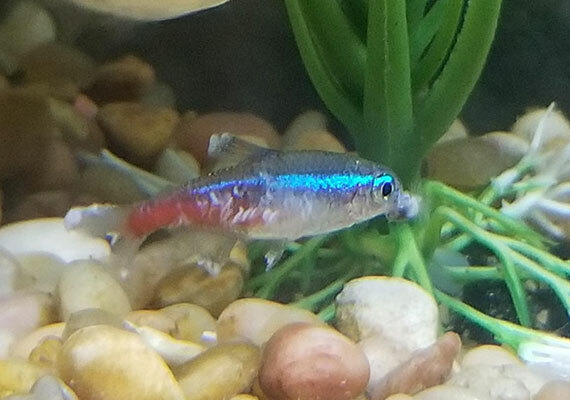 I suddenly lost three neon tetras and a dwarf guorami over a just a couple of days with white stuff around their mouths, a big red sore on the side of one fish, and one fish lost part of its tail. So, I started treating the tank with a combination of both Metroplex and Kanoplex every other day, along with a 5 gallon water change, every other day (water was heated to the same temperature, and treated with a chlorine remover/conditioner). 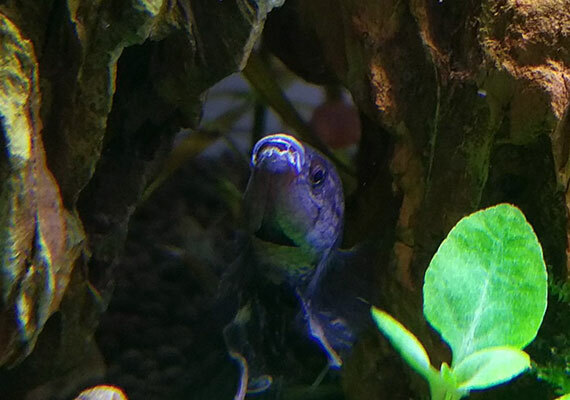 Near the end of that treatment, everything looked better, but then a few days later, one of my fish started having white fuzz around the mouth, and with scales below its mouth looking loose. Over the last two weeks I’ve been dosing the tank every other day with Melafix, and changing out 5 gallons of water every other day (heated and conditioned water). The fish perked up, until yesterday (day 10 of the Melafix cycle), and today two of my fish look like their entire lower jaws are missing. These two fish are so far gone, that I’m wondering if I should euthanize them? Hi Fagan, I’m terribly sorry to hear that things have gone sour in your recovery efforts. Unfortunately, I am not qualified to diagnose fish. However, I will say that if I was in your situation, based on what you have described, I would likely consider euthanization. It’s a judgement call only you can make and not one to be made lightly. As for sterilizing, It’s a tricky one as this will essentially crash the cycle of your tank. You’ll basically need to cycle any tank you add your fish to all over again. Since you still have fish, you’ll need to perform a fish-in cycle which is stressful and can also kill fish. It’s kinda a lose – lose situation and again, a call only you can make. 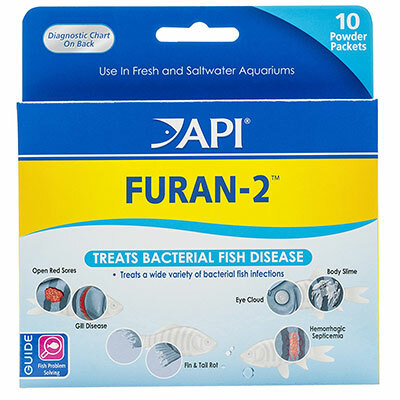 I was wondering if the level of furan-2 in the tank could possibly be harmful to my Betta with this course of treatment? I’ve read how this medication is particularly strong, and how it is a possible carcinogen (which should be written in bigger letters on the box). A lot of chemicals that fall under “medication” are not the best for fish, however, in many cases, it’s trading a certain death sentence from the disease, for the possibly negative effects of the medication. As for Nitrofurazone being carcinogenic, the last time I read studies, there was inadequate evidence for carcinogenicity in humans. I vaguely recall a study where rats fed nitrofurazone had a higher incidence of cancer, but let’s face it, it’s obviously not designed to be consumed. If there is a new study, I would love to read it. What do you look for to determine if the infection is enough to warrant 2 rounds of kanaplex + furan-2 vs 1? That’s an excellent question. It entirely depends how far along the columnaris infection was before it was treated and if there are any remaining tell-tale signs. To be honest, I have only ever needed a single round of these two treatments, it’s an effective remedy. In all the cases where my fish lived through it, they have made a full recovery. My last experience battling columnaris was years ago. However, after discussing this topic within my local fish club and speaking with other experienced Aquarius, there are times that you may need a double dose – anecdotally, it appears there are different strains, some of which while still responding to the medication do so at a slower rate. I’ve been told Kanamycin will wreck the kidneys of goldfish. 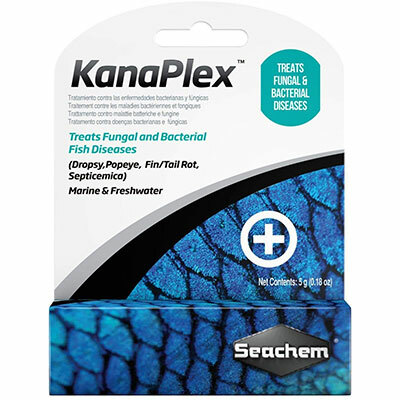 Anyone have experience with using kanamycin on goldfish? Life expectancy of a fish that recovered from Columnaris using kanamycin? Hi How do I medicate tetras using kanamycin? Its the only one I could get in Aus. Do I dose a half dose? Did you buy it as a fish medication? If so, simply follow the instructions. However, if you can obtain nitrofurazone combining the two together results in a higher rate of success for Columnaris in my experience. I wish i had read your blogs 2 weeks ago. I lost 20 of my female bettas because of this. But i dint know how to treat them. After that i dried my whole aquarium and its decorations in sunlight for a day and again filled well water and added 7 females more. Now 2 are stressed and looks like they developed dropsy(raised scales)moved them to a seperate small tank. 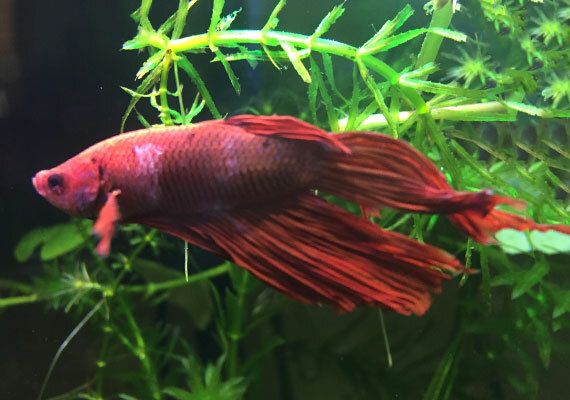 If you mail me back i would like to share some of pics of my old bettas and would like to know was it the same or other. So that i can be ready further. Unfortunately, outside of comments relating to my articles, I do not give individual advice. It’s a stance I have had to take, before I was spending 3 hours of my day answering individual questions, and that’s when my site was considerably smaller. Unfortunately, as much as I want to help everyone, as a single person, I just don’t have the time. I barely have enough time to work on new articles for this site as it is. I suggest joining a forum, plenty of fish keepers will be able to help you. Yeah, there are tons of online forums and fish groups on facebook. I suggest doing some online research. You really shouldnt just add fish to a tank. It needs to be cycled properly first. So hop on over to google or facebook and get started. Theres a ton of great info and ppl happy to look at your photos and give you some help.